Resting Witch Face Tees Just $13.99! Down From $28! You are here: Home / Instagram / Resting Witch Face Tees Just $13.99! Down From $28! 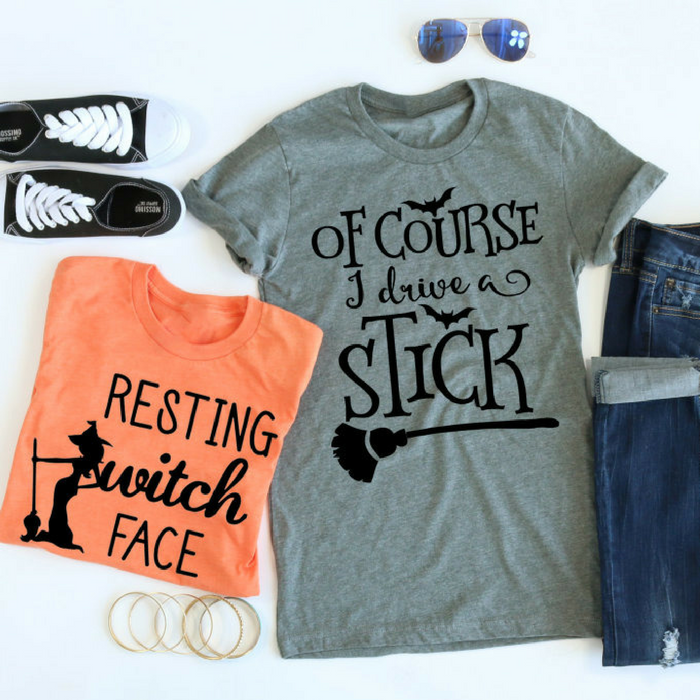 Jane has these awesome Resting Witch Face Tees on sale for just $13.99 down from $27.99! Shipping is $3.99 for the first item and $1.99 for each additional item! It is about that time for pretty Fall colors, pumpkin spice everything, and best of all, HALLOWEEN! Get excited for the best time of year with a brand new Resting Witch Face graphic tee! So cute worn with your favorite plaid button-down and skinny jeans or dressed up with statement jewelry and a cute skirt. They even make great last-minute costume pieces! These relaxed fit graphic tees will make it that much easier to remain stylish, yet festive all season long. With unisex sizing, these also make the perfect gift!